Gene A. Haggblom, 69, of Lancaster, PA passed away of lung cancer at Hospice of Lancaster County late Friday April 29, 2011, surrounded by his wife and daughters. Born in Hingham, MA, he was the son of the late Alfred and Vieno (Nissila) Haggblom. Gene enjoyed music of many different genres, and was a dedicated musician. Having chosen the trombone as his instrument in high school, he was involved with and played in numerous musical organizations throughout his life. Most recently in Lancaster County he played with Malta Band for over 40 years, serving as its president for the past 5 years, Bob Troxell’s Big Big Jazz Band, Sound of Roses and the Ephrata Band. He last played at this past Easter morning service at First Reformed Church in Lancaster. After graduating from Harvard University with a B.A. degree in Physical Sciences, Gene worked at Armstrong World Industries, focusing on production planning, development and implementation. After 26 years with Armstrong, he retired as the Manager of Technology and Professional development. Gene was a certified Fellow in Production and Inventory Management (CFPIM) and a past president of the American Production and Inventory Control Society. He served as Adjunct Professor in the 1970s and 1980s at York College and Elizabethtown College. For the past ten years he has enjoyed working part time at Hatter Harris & Beittel. Gene is survived by his wife of 46 years Molly DeYoung Haggblom; two daughters, Cindy and her husband John W. Butler of Midlothian, VA, and Amy Haggblom of Quincy, MA; two grandchildren, Hannah and Andrew J. Butler; and two sisters, Jana V. and her husband Jerry Miller of Georgetown, SC, and Dagmar J. and her husband James T. (Tim) Frye of New Market, VA. He was preceded in death by a brother Frederick (Fred) A. Haggblom. 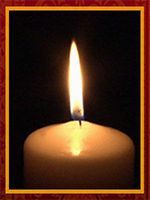 A funeral service will be held on Tuesday, May 3, 2011 at 2:00pm, at Kearney A. Snyder Funeral Home, 141 E. Orange St., Lancaster, PA, with the Reverend Kent Kroehler officiating. The family will receive friends at a viewing one hour prior to the service at the funeral home. Private interment will be held at a later date at the convenience of the family.